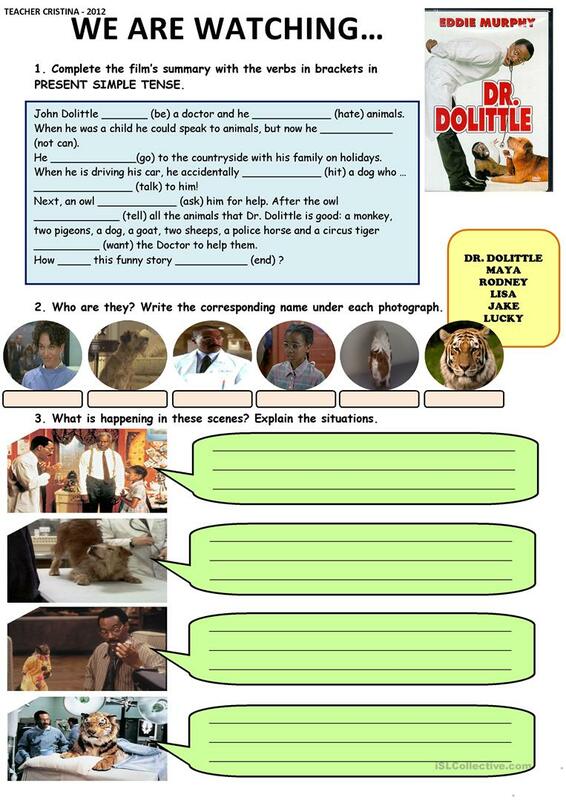 This worksheet may be useful as a pre-listening and a post-listening task for the film Dr. Dolittle (Eddie Murphy's version). Enjoy! The present downloadable printable is recommended for elementary school students at Pre-intermediate (A2) level. It is useful for improving your pupils' Listening and Speaking skills. cristina84 is from/lives in Spain and has been a member of iSLCollective since 2012-05-08 14:21:20. cristina84 last logged in on 2014-10-28 11:15:47, and has shared 1 resources on iSLCollective so far.